Bibione Up comes for the first time on the Venetian beach. A whole week of activities in an open-air gym, sculpting the body and regenerating the spirit. • Bibione Step Up – Every evening in Piazza Treviso Zumba, Reejam, Hip Hop. On Friday evening the professional dancers of “Dancing with the Stars” will show us the steps of Salsa, Bachata and Kizomba. Over fifty hours of new activities that will culminate during the weekend in Bibione Beach Fitness and September 12th and 13th 2018 Septemberfest, the festival dedicated to local food and wine delicacies, in Piazzale Zenith. Many benefit for those staying in one of the facilities of Bibione. 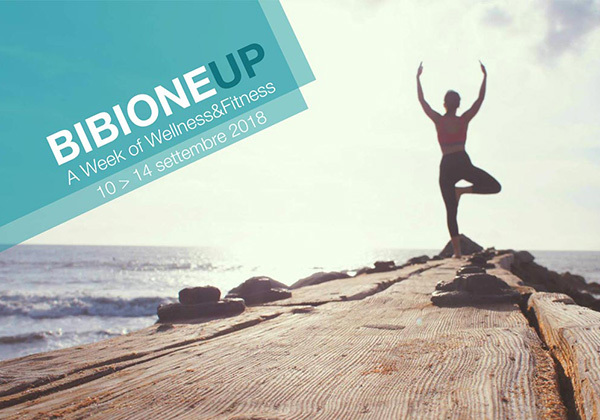 Just request your postcard to be able to access for free all the activities of Bibione Up and buy the ticket “Full Weekend” dedicated to Beach Fitness at the promotional rate of € 80 instead of € 115.